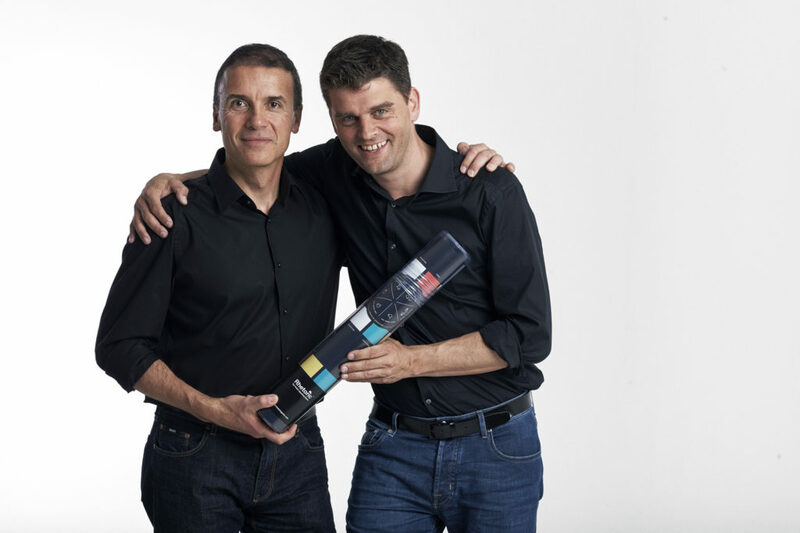 We are Florian Mueck and John Zimmer, two friends who are passionate about public speaking. Florian is from Germany and lives in Barcelona, Spain. John is from Canada and lives in Geneva, Switzerland. We each left stable jobs in the corporate and international organization worlds to become professional speakers, trainers and coaches. In 2011, we began to discuss the idea of a public speaking board game. 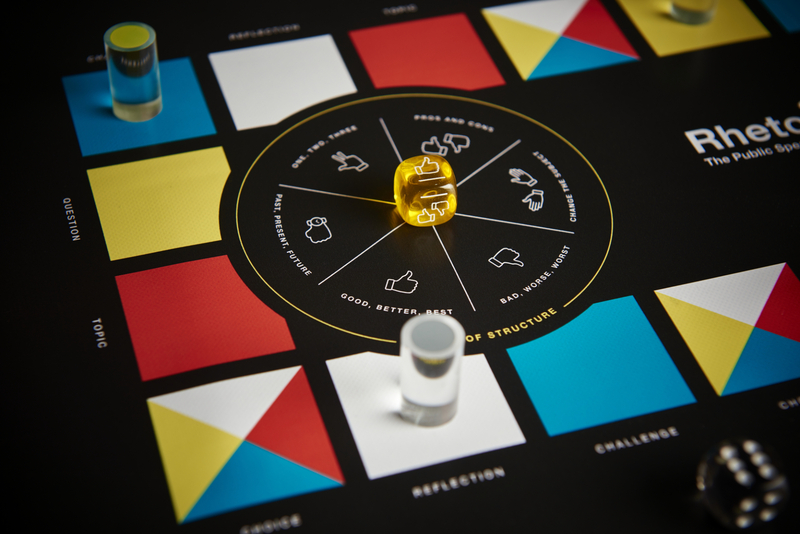 There are board games that deal with all kinds of subjects, but we found no board games specifically designed for public speaking. And because so many people are afraid of public speaking, we thought, why not create something that makes the experience an enjoyable one? And so, Rhetoric–The Public Speaking Game™ was born. The first, limited edition was a big success, selling out completely to people around the world. The game is now being played on all continents and is being used by business people, high school teachers, university professors, trainers, Agile learning coaches and people who want to have a unique experience with friends and family. The second edition was released in 2015 and it has been just as popular. We took the feedback that we received from the first edition and made RHETORIC even better. In 2016, we released the app version of the game so now you can play RHETORIC at the touch of a button. 2. We are adding new packs of game cards to the app. Each new pack will have a special theme. For now, you can play the Classic, Family and Business themes. But more themes will be added so stay tuned! RHETORIC is available in Apple’s App Store, on Google Play and on Amazon. It looks great on tablets and smartphones. If you like what you see, we would be so grateful if you would rate the app and leave a comment. It helps spread the word and build the community. When we created Rhetoric–The Public Speaking Game™, we wanted to create a unique way for people to improve their public speaking skills while having fun in the process. We have been delighted with the results and hope that you will consider giving RHETORIC a try.